While Joanne was busy with her college studies, her childhood friend, Mike was serving in the United States Air Force. Returning home in October of 1963 he had only one goal in mind and that was to date Joanne! Sharing many commonalities as well as history, the happy couple wasted no time and were engaged on Valentine’s Day of 1964. Romantically in love, they married on August 22, 1964, at St. Vincent De Paul Catholic Church in Pontiac. Joanne accepted a teaching position while Mike went back to school. Together they balanced work, studies, and starting their own family. Welcoming home two wonderful children during these years their family was now complete! Joanne cherished her role as a mother. Nothing warmed her heart more than caring for them over the years. She had a natural way with children and being that she was a gifted teacher, no birthday party or family celebration was ever complete without activities for children! Never one to turn down an opportunity to support her children, she even volunteered as a den mother for her son’s Boy Scout troop! As a family, they shared countless memories traveling. Many of these travels included camping. They drove to many beautiful destinations across the country including Washington D.C. to see the many important sights in our nation’s history. They also visited Disneyland in California, toured Yellowstone National Park in Wyoming, and explored the expansive Mammoth Caves in Kentucky. Each and every trip was not without it’s memorable moments and stories to share for years to come. As a wife, Joanne was equally devoted. When Mike returned home from his shift at 11 PM, she’d get back up from bed and serve him a warm dinner and sit together and provide him company. These tender moments made for a wonderful lasting marriage. Mike often remarked how lucky he was to have a wife such as Joanne who couldn’t be matched even if he had ordered her from a catalog! Remarkably successful throughout her life, Joanne lived her life to the fullest. She and Mike continued their love of travel after their children had grown. Their travels together included Hawaii, Ireland, as well as touring Italy on two occasions. They also traveled to Montreal to attend a Montreal Canadiens hockey games, Mike's favorite team! All in all, their favorite place by far was Disney World which they visited annually over the course of twenty years. Wherever they traveled as long as they were in the company of one another was all that mattered. Her teaching career spanned thirty-two years including stints at Will Rogers in Pontiac, Crescent Lake in Waterford, Ganiard in Mt. Pleasant, Shepherd Public School, and finally, St. Vincent De Paul Catholic School, also in Shepherd. She finally retired in 1999 leaving her and Mike many adventurous moments. In addition to their many travels, Joanne loved to read and even wrote a children's book. Her book, "Show and Tell" was published in a series of books by "Rookie Readers Books." She was proud of this accomplishment as she knew it would be shared with countless generations of early readers. Joanne also had a knack for flower gardening, and never passed up an offer for a boat ride! She also enjoyed her hand at the penny slots at the casino from time to time. Owner of an extensive collection of ruby glass and hobnail milk glass, she often enjoyed the thrill of finding unique pieces on many of their special travels. A voice of reason, always encouraging, and ever positive, Joanne will be dearly missed by her close-knit family and many special friends. 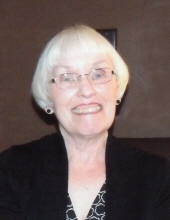 Joanne Smith, age 77, of Weidman, passed away peacefully Thursday, January 31, 2019, at Woodland Hospice House. She is survived by her husband of fifty-four years, Michael; two children, Paul (Sandy) Smith of Erie, PA and Margaret ‘Maggie’ (Craig) Golembiewski of Fenton; four grandchildren, Matthew Smith and Elizabeth, Maximilian, and Henry Golembiewski; and sister-in-law, Diane Smith of Clare. She was preceded in death by her parents, and brother, James Leo Goodsell. A Funeral Mass for Joanne will be celebrated at 10 a.m. Tuesday, February 5, at St. Joseph the Worker Catholic Church with Father Thomas Held as celebrant. Interment will be in St. Joseph Cemetery followed by a luncheon at the Beal City Knights of Columbus Hall. The family will receive friends in the gathering room of the church on Monday from 3-7 p.m. with the Vigil beginning at 7 p.m. Visitation continues Tuesday one hour prior to Mass. Memorial contributions may be made to St. Joseph the Worker School or the Commission on Aging. Envelopes will be available at Charles R. Lux Family Funeral Home. To send flowers or a remembrance gift to the family of Joanne Louise Smith, please visit our Tribute Store. The Vigil will begin at 7 p.m.
"Email Address" would like to share the life celebration of Joanne Louise Smith. Click on the "link" to go to share a favorite memory or leave a condolence message for the family.